Explanation: It has been a good week for aurorae. Earlier this month active sunspot region 2158 rotated into view and unleashed a series of flares and plasma ejections into the Solar System during its journey across the Sun's disk. 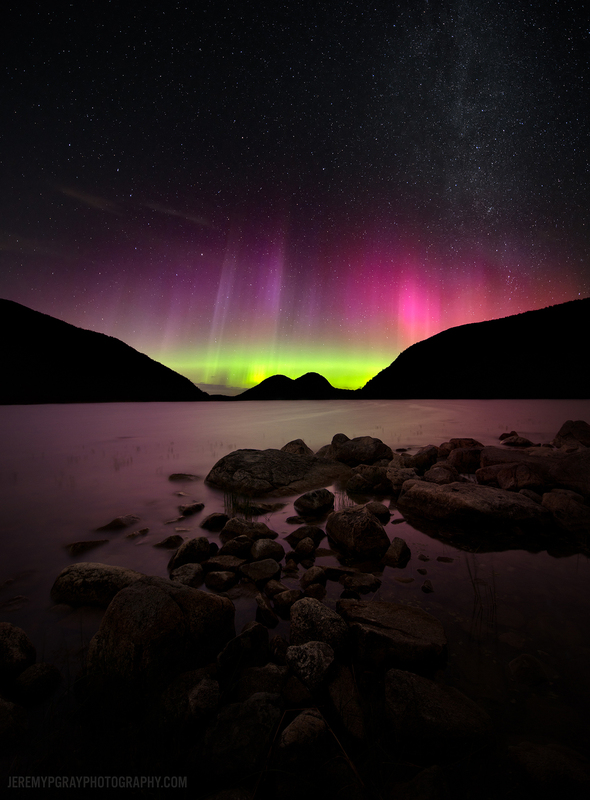 In particular, a pair of Coronal Mass Ejections (CMEs) impacted the Earth's magnetosphere toward the end of last week, creating the most intense geomagnetic storm so far this year. Although power outages were feared by some, the most dramatic effects of these impacting plasma clouds were aurorae seen as far south as Wisconsin, USA. 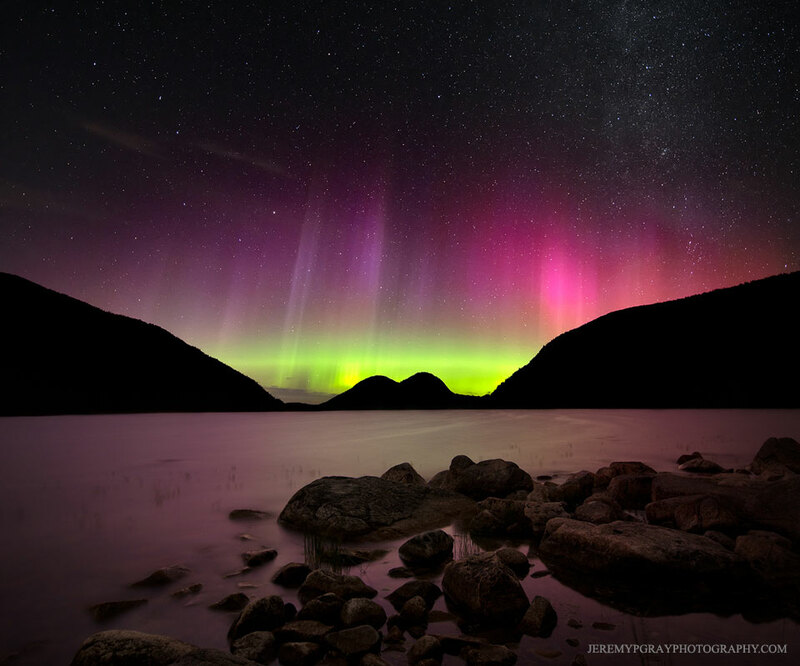 In the featured image taken last Friday night, rays and sheets of multicoloured aurorae were captured over Acadia National Park, in Maine, USA. Since another CME plasma cloud is currently approaching the Earth, tonight offers another good chance to see an impressive auroral display.